There is a long history of research on impaired eye movements associated with schizophrenia. A specially commissioned tartan was presented to the University Hong Kong (HKU) by the University of Aberdeen in a ceremony on Monday (October 29, 2012) as a gift to mark HKU’s centenary. A second year medical student is to take on the planet’s most extreme assault course, which will see her crawl through icy tunnels, battle up cliffs of mud and scale walls more than twice her own height. 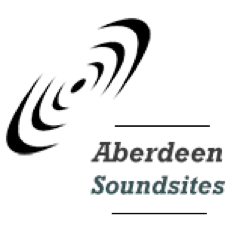 The public are being invited to take part in an exciting new public artwork that will see the creation of a sound map of Aberdeen. Rowett scientist Professor Harry Flint and his team are part of a research collaboration which has identified a combination of six naturally occurring bacteria that eradicate a highly contagious form of Clostridium difficile, an infectious bacterium associated with many hospital deaths. The impact of advances in digital technology on many aspects of our lives in the future takes centre-stage this week as 300 of the UK’s leading researchers and industry experts converge on Aberdeen to share challenges, opportunities, innovations and research. A postgraduate student from the University of Aberdeen travels to the west coast this week as part of his research project which aims to help rural and remote communities cope better when vital transport links are disrupted. Professor Kevin Edwards from the Department of Geography and Environment has been elected a member of the Academia Europaea – the Academy of Europe. Two University of Aberdeen students participated in a gruelling academic challenge to finish in the top three at the first annual Energy Apprentice challenge organised by SPE Aberdeen. A Scots charity founded by the parents of a teenager who lost her life to a rare disease is helping fund a student to do research into the condition. The University of Aberdeen has played a role in two major educational events in the Middle East. Photographs of Saudi Arabia taken by Queen Victoria’s granddaughter in the year oil was first discovered in the Kingdom are to go on public display in Scotland for the first time. One of the curators of an exhibition which includes some of the earliest recorded interpretations of the natural sciences will share her insights into rare books and manuscripts – and what we can learn from them – at an event on Saturday (October 20). A University of Aberdeen Business School student has scooped a top prize and £1,000 for his MSc dissertation. A leading neuroscientist has been honoured for his research which has helped further our understanding of the diversity of molecules the developing brain uses to ‘wire’ its parts into a precisely functional organ. A University of Aberdeen scientist has been recognised for his outstanding and influential work in liquid crystal chemistry. Professor John Nisbet died on Friday, October 5, 2012, aged 89 years. Twenty-two year old student James McLeman is seeing his future quite literally in the stars. A leading researcher who is attracting much academic and media attention for his latest book about an emerging class of people who are living and working precariously is giving a talk at the University of Aberdeen this lunchtime. Researchers are trying to recruit men and women over 65 onto a University of Aberdeen study to see if the consumption of fish oil combined with weight training exercises could help protect the elderly against muscle deterioration. The research of University of Aberdeen academic Dr Thomas Weber will be brought to the screen by a team of award-winning German film-makers in an international TV series based on his book Hitler’s First War. Undergraduates, postgraduates, academics and employers celebrated the achievements of students at the 2012 STAR Award Ceremony. A unique conference in Aberdeen this autumn will bring together the next generation of academic researchers to explore what life at the forefront of learning and discovery demands in today’s world. A unique partnership between the University of Aberdeen and one of the world's leading business schools has created a new programme of events starting autumn 2012, based on the theme of leadership. They may not be green but they do live in an ocean far, far away, and now they share the same moniker as the diminutive Jedi master in the Star Wars blockbusters. GDF SUEZ E&P UK is sponsoring a course at the University of Aberdeen to help further oil and gas education. The scientist who co-founded a University of Aberdeen spin-out company that was bought by a pharmaceutical giant will next week explain some of the difficulties drug companies face. Royal Wedding composer Paul Mealor has achieved another extraordinary accolade after the chart topping song he penned for The Military Wives Choir and Gareth Malone last night won the Classic BRIT Awards Single of the Year. Neil Smith, Sixth Century Professor of Geography and Social Theory at the University of Aberdeen, died after a short illness in New York on 29th September. Imagine holding your smartphone at someone using sign language and then their words start scrolling across the screen. Archaeology Professor shares expertise with the Muséum National d'Histoire Naturelle in Paris. Professor Keith Dobney (Archaeology Department) has recently begun an invited two-month Visiting Professorship appointment at the Muséum National d'Histoire Naturelle in Paris. Reverend Professor John Swinton will be introduced as the new Master of Christ’s College at a joint service organised by Christ’s College, Aberdeen Presbytery and the University of Aberdeen. The University of Aberdeen is involved in two pioneering research partnerships formally signed on Friday, September 28, during a trade mission to Brazil led by Prime Minister David Cameron. DNA techniques are being used to analyse genes in rice in pioneering research which aims to develop a new variety of the grain with greater health benefits. Professor Paul Beaumont is part of a new initiative launched by academics from five Scottish Law Schools - the Universities of Aberdeen, Dundee, Edinburgh, Glasgow and Strathclyde. Researchers are to look at how the roles of health professionals across Europe have changed and extended to meet today’s healthcare needs. An Aberdeen psychologist will explore the social, cultural and emotional pressures that shape our eating behaviour – and help the audience to determine what type of ‘eater’ they are - in a free public lecture.